We are fortunate in that the cat is no good at catching birds. However, if you know cats this just means that she will specialise in hunting some other poor creature. In our case the other poor creature happens to be Dragonflies, which I would have thought were far more difficult targets than birds. However. 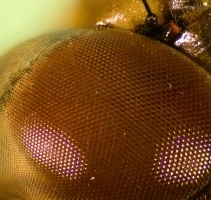 Not wishing to waste her latest victim I brought the Dragonfly indoors for some focus-stacked photomicroscopy, and even some focus-stacked photomicromosaic work with two or more separate frames stitiched together. 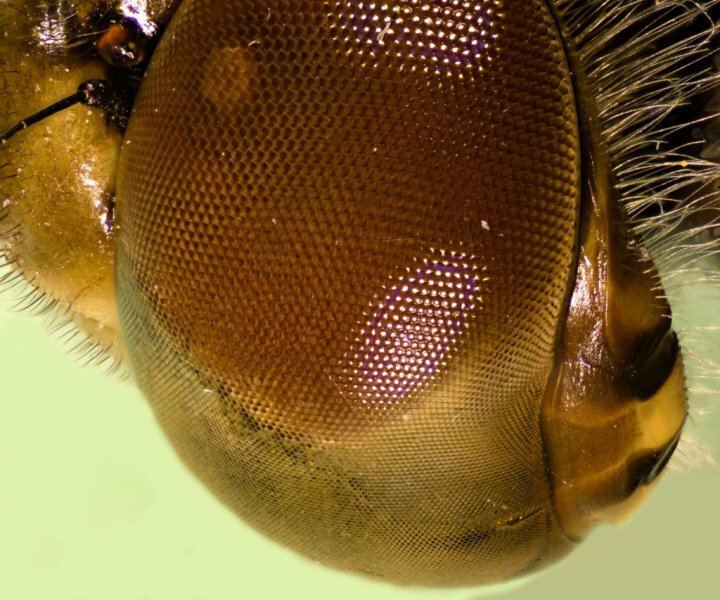 Using the research trinocular microscope with the Canon 5D MkII, a series of focus-stacked images were taken and the stacking carried out using that most fantastic of programs – Helicon Focus. This really is a powerful software package, and if you are into photomicroscopy it is a must-have piece of software. 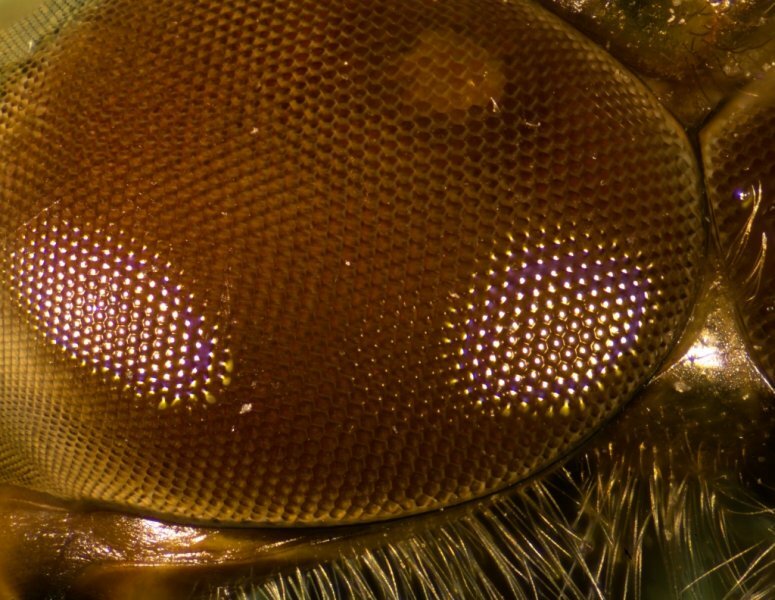 I took several images of the Dragonfly eye region as this is the most fascinating part to look at under a microscope. 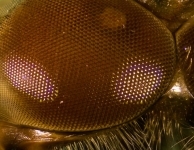 The eyes are huge in the Dragonfly, they almost totally encircle the whole head. They are also effectively split into two regions, the upper region has a red hue, and the lower region has a yellowish hue. Whether this is some adaptation to its long life as an underwater hunter or not, I do not know (I guess I’d better look it up now). Whatever – it never fails to amaze me just how complex tiny little creatures like insects are when you get to look at them at their scale-size – it’s just incredible.